Christian Horner has all but ruled out a move for two-time world champion Fernando Alonso to replace Daniel Ricciardo at Red Bull Racing next season. After the Australian's shock switch to Renault for the 2019 season, announced last week, it has kicked the driver market into overdrive as the team from Tilbrook seek out a replacement to partner Max Verstappen next season. Alonso, who won the world championship in 2005 and 2006, has struggled in an under-performing McLaren since 2015, is weighing up his options for next season and could leave the sport in favour of a winning drive in Indycar in a bid to complete motorsport's triple crown. But speaking on F1's official podcast, Horner said signing the Spaniard would not be 'the healthiest thing' for his team, especially after his public comments about next year's engine suppliers Honda while they powered McLaren for the last three years. "I've got huge respect for Fernando, he's a great, fantastic driver, but it would be very difficult to see," Horner said. "He's tended to cause a bit of chaos wherever he's gone. "I'm not sure it would be the healthiest thing for the team for Fernando to join. "Our preference would be to continue to invest in youth [rather] than take a driver who is obviously close to the end of his career." 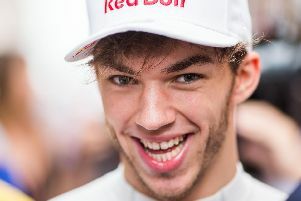 Carlos Sainz and Pierre Gasly are the front runners for the vacant seat at Red Bull for next season, and Horner said they are both attractive prospects. He added: "We're fortunate that we've got several drivers under contract that are great talents. I think we're going to sit back and evaluate what the situation is, see what comes out. 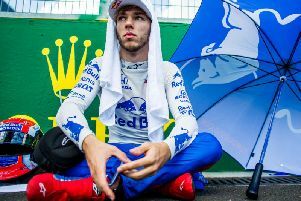 "Both of those guys [Sainz and Gasly] are very quick drivers so I think this just gives us an opportunity to take a breath. "They're under contract anyway till the end of the summer or beyond. We'll look at the options available to us and make sure we make the right decision for the team."